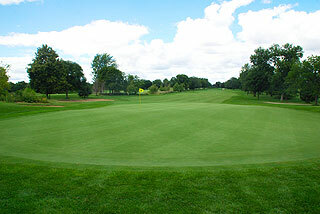 The Village Links of Glen Ellyn features a top-rated 7200 yard championship 18-hole course that has long been recognized as one of the elite layouts in the Midwest. 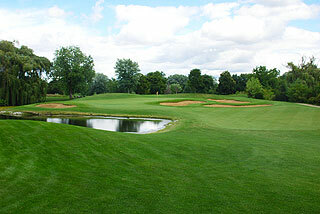 The course has hosted several top tournaments and qualifiers including the 1986 Illinois Open Championship, 25 Western Open Qualifiers and 5 U.S. Open Sectional Qualifiers. 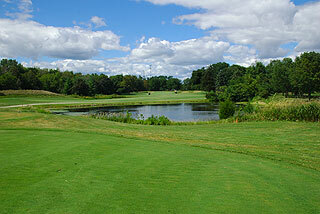 The regulation length 9-hole course was the front nine of the original 18-hole layout and is ideal for casual play. 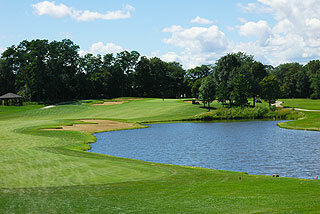 The course originally opened in 1967, and was completely re -designed by Garrett Gill, son of the original architect. 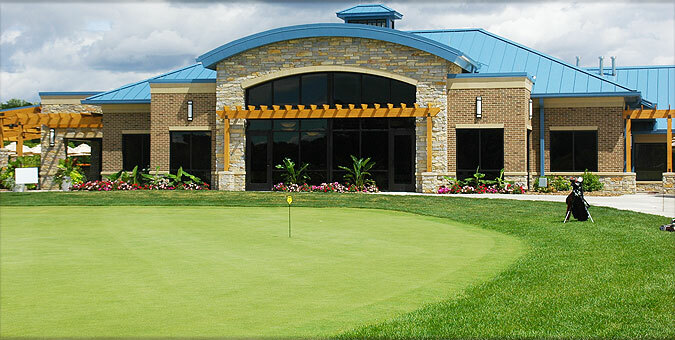 The Clubhouse features a fully stocked pro shop, a full menu restaurant serving breakfast, lunch and dinner, and locker rooms with showers open to the public. Practice facilities are extensive, open from 5:30am till dark, and include a targeted grass range with 33 hitting stations, a sand bunker, and four practice greens. 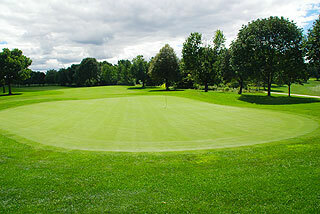 Two greens are used for putting and two for chipping. 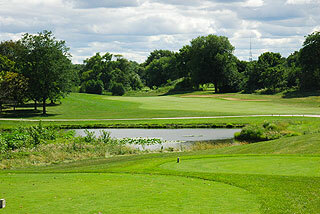 The 9 hole course ranges in distances of 3303 yards, 3076 yards, and 2744 yards with slopes of 133, 128, and 120. There are 30 sand bunkers and four holes with water hazards. Five sets of tee boxes measure in distances in slopes of 7208 yards with a 138 slope, 6770 yards/134 slope, 6382 yards/130 slope for men, 137 for women, 6004 yards/124 slope-men, 133-women, and 5439 yards with a slope of 127 for women and 118 for men who choose the forward tees. Although this is a long course, there are a few short par fours including the 346 yard #12, which is extremely well guarded, with bunkers near the green. Yardage is marked on all sprinkler heads to the center of the green, and fairways include 150 yard poles. Scorecards feature info about the greens including depth and daily hole locations, with small diagrams of each hole providing yardage to bunkers and water hazards from the tees. 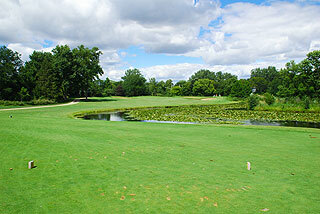 There are 119 bunkers in total located all about the layout, near fairway landing zones, and greenside. Where there is one sand trap there are three, so golfers need to have their sand game ready. Along with the numerous bunkers, water comes into play on 15 holes, adding to the challenges of this layout. Fairway landing zones are very tight, and in some cases water hazards flank both sides , leaving little room for error off the tee. The holes without water along the fairway are tree lined with hills and mounding to the sides. Greens are generally very well guarded by sand bunkers. 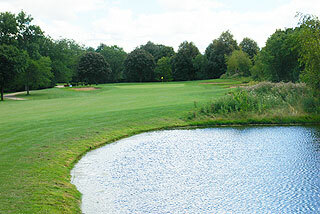 The 552 yard par five sixth is an extreme example, with eight bunkers surrounding the putting complex. The large putting surfaces are sloping and undulating and long lag putts present challenges, so paying attention to the pin placement is important. At The Village Links conditions are well maintained and seemingly every hole could be a signature hole at most golf courses- an absolutely beautiful golf course. For more info, visit our page for Village Golf Links, with direct link to their website by clicking here.